Junaid Valimulla: Are we nearly there yet? 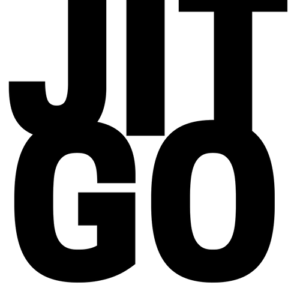 https://i1.wp.com/jitgo.uk/wp-content/uploads/2018/10/brian-erickson-754641-unsplash.jpg?fit=4608%2C2591 2591 4608 Jit Gosai http://jitgo.uk/wp-content/uploads/2017/09/imageedit_3_4153808772-300x300.png Jit Gosai2018-10-07 07:00:192018-10-07 09:42:54Junaid Valimulla: Are we nearly there yet? https://i1.wp.com/jitgo.uk/wp-content/uploads/2018/09/devopsOneLiner-1.png?fit=1024%2C1024 1024 1024 Jit Gosai http://jitgo.uk/wp-content/uploads/2017/09/imageedit_3_4153808772-300x300.png Jit Gosai2018-09-09 08:00:012018-09-10 10:17:42A DevOps one-liner? How to break the rules? https://i1.wp.com/jitgo.uk/wp-content/uploads/2018/07/Screen-Shot-2018-10-07-at-09.45.47.png?fit=2312%2C1012 1012 2312 Jit Gosai http://jitgo.uk/wp-content/uploads/2017/09/imageedit_3_4153808772-300x300.png Jit Gosai2018-07-25 07:00:422018-10-07 09:50:11How to break the rules? UI Automation, what is it good for? https://i0.wp.com/jitgo.uk/wp-content/uploads/2018/07/The_automation_1929.jpg?fit=2955%2C3940 3940 2955 Jit Gosai http://jitgo.uk/wp-content/uploads/2017/09/imageedit_3_4153808772-300x300.png Jit Gosai2018-07-11 07:00:572018-07-11 16:58:17UI Automation, what is it good for? How to keep up to date with the testing industry? https://i2.wp.com/jitgo.uk/wp-content/uploads/2018/05/IMG_1266.jpg?fit=2256%2C1692 1692 2256 Jit Gosai http://jitgo.uk/wp-content/uploads/2017/09/imageedit_3_4153808772-300x300.png Jit Gosai2018-05-21 08:35:222018-06-05 12:28:44How to keep up to date with the testing industry? In test column - JitGo Jitesh Gosai Tester, Speaker, Presenter on UI Automation, what is it good for?